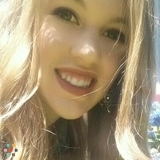 Want to connect with Mikaeyla? I am an energetic, older sister who loves kids. I plan to pursue a career involving children in the future and hope to gain experience caring for them. The importance I place on family morals, respect for everyone, and fun creates a great role model in me for your children to look up to and care for them when you can't be there. Most weeks, Monday thru Thursday I have cheerleading practice from 6pm-8pm. Otherwise, I am available most weekdays and weekends, morning to late night. Thank you for considering me as your family's caregiver.